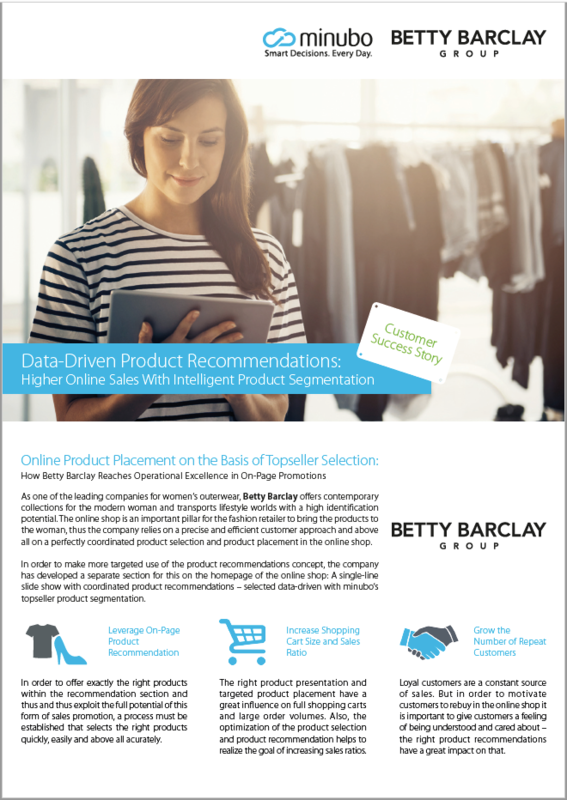 Higher Sales Through Intelligent Recommendations – Download our Paper! To fully exploit the sales potential of a key content area at their web shop's start page, the Betty Barclay eCommerce team relies on the intelligent minubo product selection tools. Learn in our paper how the team converts actionable insights into higher sales figures!